If you're drinking the inbound marketing Kool-Aid and regularly publishing content online, there's a good chance you may have experienced content theft at one point or another. Many of us are all too familiar with the feelings that follow the discovery of content thievery: your stomach drops, quickly followed by thoughts of "Why me?" Then the anger sets in. You’ve spent hours (or even days) creating content you think your buyer personas would love, only to have someone else reap the benefits on their own site? Not cool. At your core, it feels very wrong to have someone benefit from your creativity and hard work. To help combat the internet thieves of the world, you’ve got to be prepared. You need to know how to find out whether your content has been stolen, have a good understanding of the laws, and determine if it’s worth your time to pursue -- and that’s only the beginning. Then, you have to know which steps to take to get the thief to remove your content removed, and how to prevent it from getting stolen again in the future. 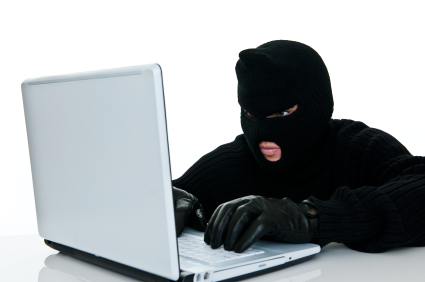 Use Technology to Your Advantage: How Do You Know When Someone Steals Your Content? Copyscape: Simply plug your page’s URL into the search box, and voila! Copyscape locates where your content appears elsewhere online. In the free version, you can only see the top 10 results. If you want a more robust report, you can sign up for the premium paid version. That being said, most of us won’t need the supercharged results unless we’re hunting down stolen content full time. Referral Traffic: Dive into your marketing analytics to see which sites are sending you traffic. See traffic spike from a specific source, or just a source you don’t recognize? Take a peek to see if your content appears there. Pingbacks: Depending on your content management system, you may have the ability to be notified whenever a site links back to a post. If someone straight up copies your content and pastes it on his or her site, this is a really easy way to be notified -- no analytics necessary. Manual Searches: You also have the option of manually searching for your content. For written content, search for a long-tail phrase -- whether it be the specific one you include at the bottom of every post or just an excerpt from the body text -- to find your content more quickly. For visual content, use Google’s image search. This is definitely the most time-intensive option, but it’s the most effective way to aggressively defend your content. After you’ve used these methods to find out whether your content was stolen, you’re not ready to start reaching out to the thieving site owner just yet. Before you start sending scathing emails to content stealers and reporting them to Google, you need to make sure you have a full understanding of the situation. In fact, sometimes people can legally re-use portions of your content. So before springing into action, let’s take a second to identify if the other person is allowed to use your content in the first place. Evaluate the Situation: Has Your Content Really Been Stolen? Even if you’ve discovered a website or blog that's featuring your content, it may not necessarily be copyright infringement. As soon as you publish original content online (whether visual or text), it is protected under copyright law -- no copyright symbol needed. This means that others can’t republish or repurpose your content without your explicit permission, unless they follow the rules under the fair use clause of the copyright law. Basically, the fair use clause says that people have limited rights to use your original content as long as the use of your content is deemed “fair” -- a somewhat nebulous term that has been defined by courts over time in real world scenarios such as quotation of short passages in a scholarly or technical work, use of a work for commentary or criticism of the work, use in a parody, summary of an article with brief quotations in a news report, and reproduction by a student or teacher for purposes of teaching. But where do you draw the line between fair use and infringement? Unfortunately, there’s not a clear cut definition of what exactly fair use is and what it isn’t. The government says, “The distinction between what is fair use and what is infringement in a particular case will not always be clear or easily defined. There is no specific number of words, lines, or notes that may safely be taken without permission. Acknowledging the source of the copyrighted material does not substitute for obtaining permission.” Defining fair use is beyond the scope of this post, but if you’d like to dive into the nitty-gritty of copyright law, start with this great overview of fair use on the SEOmoz blog and this post from Plagiarism Today about the different types of copyright infringement. So where does that leave you? As a marketer, you want to make sure you’re not stealing other people’s content, and you also want to protect the content that is rightfully yours. One thing that isn't likely protected under fair use is a mirror copy of significant portions of your content used for commercial purposes. If you’re finding full-text copies of your content published on other websites without your permission -- even if they attribute the content to you -- you’ve got a good basis under copyright law to contact them and claim your rights to exclusive use. It might get tricky if you find that websites are only using a portion of your content with a link back to the original source (this could potentially fall under “fair use”), so it would be best to consult with your company’s lawyer before reaching out to them. Ultimately, there is often a gray line between fair use and copyright infringement, but the takeaway here is to always examine if something could be considered fair use before charging ahead with copyright infringement complaints. Getting Your Content Removed: Is it Worth the Fight? So you’ve found out someone is stealing your work and have determined that it doesn’t fall under “fair use” ... what’s next? Before you start down the potentially long path of trying to get your content removed, you should determine whether it’s really worth the fight in the first place. Although stolen content may feel like a black and white issue, there are often nuances to the situation that shouldn’t be ignored. Let me tell you a story to give you an idea of just how complicated it can get. In a previous job, I found out that a customer of ours was copying blog posts I wrote and pasting them, word-for-word, on her company’s blog. These were 1,000-1,500 word posts … not some chump change content. As much as I wanted to freak out at the content stealer, it wouldn't have been the smartest course of action -- we had a great relationship with the customer already, and I didn’t want to lose business over a few blog posts. In the end, I ended up sending her a nice email explaining the issue, and she removed the content within the hour. By evaluating the situation before starting an internet flame war, I was able to save the relationship with our customer ... and protect our content. Another situation you could run into is a website or company more popular than your own stealing your content. Ask yourself, "Will the stolen content boost traffic to my website or give us more brand exposure?" If you’re getting a ton of traffic from a site or you think the content thief could legitimately give you more reach than your current network alone, you might consider leaving it be. Although the chance of the other website’s visitors clicking through to your website can be slim, the website could end up referring more traffic to your site, driving leads down your funnel, and maybe even bring in some customers. Ultimately, you should always consider who is stealing your content and how much traffic they're sending you before making a decision to reach out. If you have a prior relationship with them, they are sending you page views and leads, or they're giving you exposure to an audience you want, it might not be strategic to cause a ruckus over the stolen content as long as they're attributing and linking back to you. You Want to Fight the Fight: What Are the Next Steps? If you’ve decided you actually want to move forward with the fight to have your content removed, there are certain steps you should take to avoid wasting your time and effort. Should I say it again? It’s really that important. Grab a screenshot of the offending content right off the bat. That way you have proof when you reach out. Be sure to get a full page (or at least a picture of all the content that has been stolen) and the site URL so others could potentially find the website if needed at a later date. You have tools to do this built right into your operating system (Print Screen on Windows, or Command + Shift + 3 on a Mac), but if you want to be able to annotate and crop within your browser, try Awesome Screenshot for Chrome or Fireshot for Firefox. 2) Email the offender directly. If the offender's email address isn't easily found on his or her website, you can do a whois domain search to find it -- whenever you register a domain name, you must submit contact information, though it’s not always available to the public. If the domain registration information is private, you can use a simple Google Chrome plugin called Rapportive and a few minutes of trial and error to find out someone’s email address -- here’s a tutorial to show you how. Once you find the offender’s email address, try to remain civil but firm in the body of your email -- as the saying goes, you can catch more flies with honey than with vinegar. Link to the specific piece of content on your site that the person stole as well as the link to the stolen content, note that it must just be a mistake (right? ), and mention what the next steps will be if he or she doesn't comply. Will you need to involve the hosting provider or take legal action? Here, a hint of a legal action can go a long way. 3) If that fails, report the offender to search engines or hosting providers. Depending on how your email communication with the offender goes and how much more time you want to invest in getting the stolen content removed, you can manually submit a request to remove the content from search engines, or contact the hosting provider. The Digital Millennium Copyright Act (DMCA) requires hosting providers and other processors of digital information to follow a pretty regimented procedure for removing infringing material. To find the hosting provider information, you can use the same whois domain search mentioned above. Stop the Crime Before it Happens: How Can you Prevent Internet Thieves From Stealing Your Content? Prominently display copyright notices. It won’t affect your copyright coverage, but you can include a copyright phrase banner in the footer of your content to remind readers to keep their hands off. Both Copyscape and DMCA.com have free banners you can include on your site. Set up Google Search Authorship to claim your content as yours. Besides driving even more clicks from search, Google Authorship helps defend your content from getting stolen. This way, any time you publish online, it will be linked back to you first, ultimately helping you avoid the pesky duplicate content issue with Google. If you need help setting up Google Search Authorship, check out this guide. Publish a few paragraphs in your RSS feed with links to full content. Some content thieves use robots to rip content directly from full-text RSS feeds. Or, if you and your readers prefer full-text RSS feeds, include a phrase such as “This is original content from [insert company name]” with a link to the original piece of content. If the thief doesn’t bother to remove the link, the link to the original post will let Google know your content was the original source. On visual content, include your brand’s logo. It’s much harder for content thieves to remove brand logos from visual content than it is for them to delete or change text. Placing your logo on your visual content can make thieves think twice about stealing it or at least give you credit wherever it’s posted online. We want to create marketing people love, not marketing people steal. Even though there’s no 100% effective way to prevent people from stealing your content, knowing what to do when your content is stolen and how to help prevent it from happening in the future will help you keep your marketing content safe and sound.